On January 27 the College of Commissioners hosted an orientation debate on President Juncker's initiative on establishing a European Pillar of Social Rights. The initiative is part of the Commission's goal to achieve a European "Triple A" in employment and social affairs. DG RTD Open and Inclusive Societies asked Prof. Maurizio Ferrera to elucidate the issues at stake and to help set the parameters of a constructive debate. Maurizio Ferrera is Professor of Political Science at the University of Milan. He has been serving on various Advisory Commissions at national and EU levels as well as on several editorial boards of academic journals and publishers. Professor Ferrera has published widely in the fields of comparative welfare states and European Integration. His last book in English is The Boundaries of Welfare (Oxford University Press, 2005, French translation in 2009); in Italian he has recently published Rotta di collisione. Euro contro welfare? (Laterza, 2016) . In 2013 he has been awarded an ERC Advanced Grant for a five-year project on “Reconciling Economic and Social Europe: ideas, values and consensus” (Resc-EU). In relation to the Commission's initiative on a European Pillar of Social Rights, what do you think its priorities should be? What kind of benchmarks for upward convergence in employment and social affairs would you put forward? And how would they fit into existing policy and coordination processes? It is important to situate the discussion of the European Pillar of Social Rights (EPSR) within the wider strategy that President Juncker outlined in his last State of the Union speech. That speech has revealed a novel sensitivity to the political dimension of the EU, understood in the deep sense of preserving stability, order, mutual trust and compliance, common interests, fairness; and, through all this, regaining legitimacy for the EU as a necessary condition for guaranteeing liberty, security, equity and prosperity. The EPSR is mentioned as one of the key policy measures of the new “political” strategy. The term EPSR is an ambitious one, it contains a high symbolic potential which must not be squandered by immediately collapsing this policy measure into a technical “work program” about the legal modernization of the acquis, new benchmarks and even more “targetology”. The “pillar” metaphor evokes something strong, robust, foundational, durable. To build a new pillar, one needs good scaffolding. In the case of the EPSR, this scaffolding must be intellectual and “visionary”. It should build and capitalize on two notions which are at the core of the European Social Model and the way it is understood by national policy makers and public opinions: social protection and social investment. In what way is the EPSR linked with these two spheres/components? What is its distinctive contribution? As far as social protection is concerned, I suggest that the strategic long term goal should be that of defining a common EU safety net, especially within the Eurozone. The crisis has shown that when asymmetric shocks suddenly hit, the very livelihoods of ordinary people can be threatened. This is unfair, not only as a matter of principle, but also because we know that crises in integrated economic spaces always have a systemic component, of which member states cannot be held individually responsible. As far as social investment (SI) is concerned, my suggestion is twofold. First, the symbolic capital which has been accumulated around this notion should not be diluted by adding new expressions or metaphors. In fact, renewed efforts should be made to enhance the SI message, linking it less to economic arguments than to “fairness” arguments. Second, a special emphasis should go to objectives related to children, young people and working mothers. These are the social groups who are really key for Europe’s future. But in many member states, they are, alas, also the losers of the present distributive status quo. The EPSR should offer not only data, targets and policy analysis. It should also offer tangible incentives by mobilizing all the available conditionality levers towards future-oriented social policies. A Communication on the scaffolding which will help build the “pillar is a good way forward. Work programs with specific proposals should be listed at the end, within a wider multi-annual roadmap. In a wider sense and with a view to the future what should the role of the EU be in relation to social policy? And what kind of reforms would be needed to move forward on that front? Social Europe (or European Social Protection) is a composite reality and a moving target. It is made up of five main components: 1) the ensemble of nation-based welfare states (national social spaces); 2) an increasing wealth of sub-national initiatives and experimentations with a cross-border element (regional social spaces); 3) the novel membership space – coterminous with the EU external borders – inside which all the bearers of EU citizenship can access the benefits and services of the place in which they freely choose to settle and work (the EU Social Citizenship Space); 4) The ensemble of those supranational policies that have an explicit social purpose, be they of a regulative or (re)distributive nature (EU Social Policy in the traditional sense); 5 ) The set of objectives and rules of a social nature contained in the Treaties , including those that allocate responsibilities between levels of government and define decision making procedures (what I call the European Social Constitution). The overarching role of the EU vis-à-vis Social Europe is that of securing a coherent and effective governance of the five components, with a view to: 1) sustaining the viability, modernization and mutual adjustment of national social spaces; 2) supporting sub-national cross-border policy experimentations (e.g. in the field of health care, employment and social services) which may generate incipient forms of transnational solidarity; 3) consolidating the common membership space based on an increasingly thick notion of EU Social Citizenship; 4) expanding or introducing ex novo supranational rules and policies capable of supplementing, integrating and orienting the other three components, and of providing an overall steering through the EU Social Policy; 5) implementing fully (and, in due course, strengthening) the European Social Constitution so as to ensure its consistency and to rebalance the economic and social dimensions of integration, by formally recognizing their equal dignity as fundamental missions of the Union; and aligning, where reasonable, their mode of governance and decision-making procedures. Let me be a little more prescriptive about components 3 and 4, i.e. EU social policy proper. I am convinced that the priorities here should be: the introduction of common standards for labour market, wage setting and social inclusion, in order to combat social dumping and facilitate mobility; a better use and if possible an increase of the EU's resources for (co) financing reforms and especially social investment; widening the scope of action of the Juncker Plan from physical infrastructure to social investments; strengthening cooperation and if possible establish standards in the field of education, including early childhood education and care; strengthening the European social dialogue; improving social governance arrangements within the European Semester; specifically including modernizing social reforms in the list of conditions for obtaining "flexibility" in national budgets. If I were to be more ambitious, I would add that the big strategic priority of EU social policy should be the creation of a formalized instrument -equipped with adequate fiscal resources- to support solidarity between Eurozone countries against common adversities, especially in the event of asymmetric shocks. In other words, it is necessary to think of new forms of interstate insurance for cushioning the social consequences caused by dramatic and sudden economic downturns. It is certainly not easy to design a similar instrument, given the risks of moral hazard and undue forms of "mutualisation" of sovereign debt. Although the technical and political obstacles are huge, this is possibly the most urgent reform for triggering off an orderly and reasonable Europeanization of solidarity. A European Unemployment Insurance scheme is in my view to first option to be considered. This would be an ideal way to launch the EPSR initiative: with something highly visible symbolically and with tangible consequences for ordinary citizens. A substantial strengthening of the Fund for European Aid to the most Deprived (FEAD) would also go in this direction as would the establishment of a EU funded scheme to support the intra-EU mobility of workers. "Social Investment" as an all-encompassing approach to social policy has dominated discourse and practice in the EU in the last 15 to 20 years. How effective has Social Investment – and its corresponding emphasis on workfare, activation, flexicurity, family policies and human capital investment etc. – been in terms of combating poverty and inequalities; especially in relation to the crisis years? Given my background and competence, let me address the question from a “political” and institutional angle. The EU (and the Commission in particular) has played a key role, since the mid-1990s, in elaborating and promoting the diffusion of the social investment paradigm. Although the expression was formally and officially adopted only in 2013, with the Social Investment Package, the rationale behind it can already be found in previous Communications and publications and, to a large extent, such a rationale informed the overall logic of the Lisbon strategy and of the “social OMCs” since their inception. SI has continued to play an important role in the overall framework which underpins the Europe 2020 strategy. At a general level, the first and obvious remark to be made is that the EU has been an effective agenda-setter, which has linked social objectives and programs to the policy investment perspective. In addition to providing intellectual leadership and guidance, the EU has played a remarkable role in producing evidence and information. In the last fifteen years, the European Commission has affirmed itself as the prime authority in the provision of reliable comparative data and as an important source for systematic and original policy analysis aiming at promoting the investment “case”. Since the mid-2000 a rich portfolio of quantitative indicators has been developed for monitoring social developments in a broad sense and for assessing the achievement of common objectives. While all these efforts are undoubtedly commendable, so far the arguments and evidence in support of social investment have remained mostly circumscribed to specialized expert arenas. In the Commission’s own jargon, there has been “insufficient political buy-in”. According to a report by the Commission, a number of Member States have indeed been introducing some policy changes in the fields covered by the Social Investment Package, but the actual salience and use of the SI discursive framework has remained very low. For example, the SI discourse played a relatively marginal role in the party manifestos for the EP elections of 2014. Only the Green and Liberal platforms made a marginal reference to SI and briefly expanded on its agenda. The two main groupings – the European Popular Party and the Party of European Socialists and Democrats – refrained from mentioning the concept. Some progress has been made in pushing the SI framework within the supranational arena and the European Semester process (from the 2014 cycle). With the 2013 SI package, the Commission had committed itself to “address social protection reform and the increased focus on social investment and active inclusion in Country Specific Recommendations and subsequent European Semesters”. However, in 2015 the number of CSRs and their primary focus on macroeconomic and fiscal issues has weakened the potential of such visible instrument (CSRs) for influencing national governments; indirectly facilitating social policy investments. Empirical research has shown that soft law, the OMCs and, more recently, the “socialization” of the Semester have indeed unleashed observable dynamics of policy adaptation and change towards the Lisbon and EU2020 targets. But such dynamics are slow-moving, ancillary in respect of the much harder macroeconomic and fiscal constraints within the Semester and very sensitive to political and temporal contingencies. Do you see a need for reviewing the Social Investment approach and which elements would you see underpinning such an exploration? There is indeed a need for a review and, if my diagnosis is correct, one important dimension of the review ought to be political and institutional. The main challenge here is: how can the persuasive and operational capacity of social investment approach be enhanced visa vis the Member States? On the front of persuasiveness, a first priority is that of enhancing the social justice rationale of SI. The EU’s policy discourse is at times couched in terms of descriptive neutrality and tries to promote cognitive ideas related to pragmatic goals and policy instruments. This is related to both the Commission's institutional role as a body pursuing common objectives and, to some extent, to the predominance of mainstream economic thinking among Commission staff. As a result, one can at times witness a pre-occupation with functional necessities, efficiency gains and policy effectiveness at the expense of normative ideas. The fact is, however, that no functional necessity can be identified or justified in the absence of norms and values. And abdicating value analysis and debates on policy options can lead to biases that may be extremely pernicious precisely because they are not acknowledged; what is looked at as "obvious" can in fact be biased. In addition, the usefulness of descriptive neutrality and functional arguments in containing conflicts has clearly reached its limits. The claim to speak "without values” made at times by supranational bodies (Central Bank, Troikas etc.) has in fact ended up generating serious political problems on the front of popular legitimation, especially in the wake of the crisis. Support for the EU has been constantly declining since 2007 – and rather drastically in a number of countries. An increasing number of voters now see the EU as the enforcer of cuts and sacrifices and as the enemy of the welfare state. Left wing radicalism and right wing populism are on the rise – and both are anti-EU, pointing to an austerity driven policy paradigm and its alleged attacks on “national models” (the almost obsessive line of politicians such as Marine Le Pen in France or Matteo Salvini in Italy). Support for integration is still relatively high around the centre of the political spectrum, where mainstream parties tend to cluster. It is precisely within this area that the EU has to recalibrate its message by emphasizing its “caring” face. On the front of operational capacity and “political buy-in”, there is a need to relax the rigidities of “targetology” and widen stalkeholder involvement. SI places a great emphasis on social services and this makes sub-national governments, especially in the larger Member States, a natural interlocutor of the Commission. The “regional card” could be played more vigorously by the Commission in managing ex ante conditionality. Regions and local authorities are everywhere struggling with shrinking resources and rising needs. 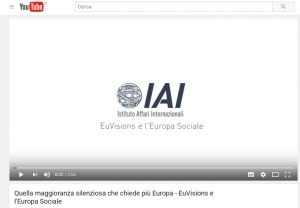 The SI paradigm could provide them with discursive resources to claim additional funds (or avoid cuts) from their national governments, to consolidate their institutional role and to strengthen their links with the supranational level, indirectly contributing to loyalty-building and political legitimation of the EU. The same can be said for the “non-public actors” card. The last decade has witnessed an increasingly strong involvement of civil society actors in service provisions (with different names in various countries e.g. in Italy it is identified as the secondo welfare). A strategic connection with the emerging protagonists of “social innovation” (especially, but not exclusively at the sub-national level) could be a precious asset for advancing the SI agenda. Given its organizational flexibility, its problem-solving logic, its potential for mobilizing expertise and anticipating needs, as well as its capacity to deploy novel financial and operational instruments, the secondo welfare sphere should offer fertile ground for the elaboration and implementation of SI’s goals. Finally, the ambiguous relations between the SI agenda and EMU’s macroeconomic governance rules must be squarely addressed. This holds within the specific sphere of Cohesion Policy, but also more generally within the Stability and Growth Pact and the Macro-economic Imbalance Procedure. In January 2015, the Commission issued a Communication on “Making the best use of the flexibility within the existing rules of the Stability and Growth Pact”. While growth enhancing investments and “major” structural reforms are indicated as conditions that may qualify a Member State for a flexible interpretation of the extant fiscal rules, no mention whatsoever is made to SI as such. This is a lamentably missed opportunity, not only for the advancement of the SI agenda, but also for diffusing tensions created by the crisis inside the EU. Overcoming the unprecedented strains between “core” and “peripheral” Member States could require a compromise between what can be identified as an ordo-liberal, rule-based approach, on one side, and the need for growth, socially friendly policies and greater margins of fiscal manoeuvre, on the other side. Finding a way to incorporate social investments among the “golden rules” for invoking the flexibility clauses on the side of national governments and for managing conditionality on the side of the EU could be an honourable way to arrive at a compromise between North and South.